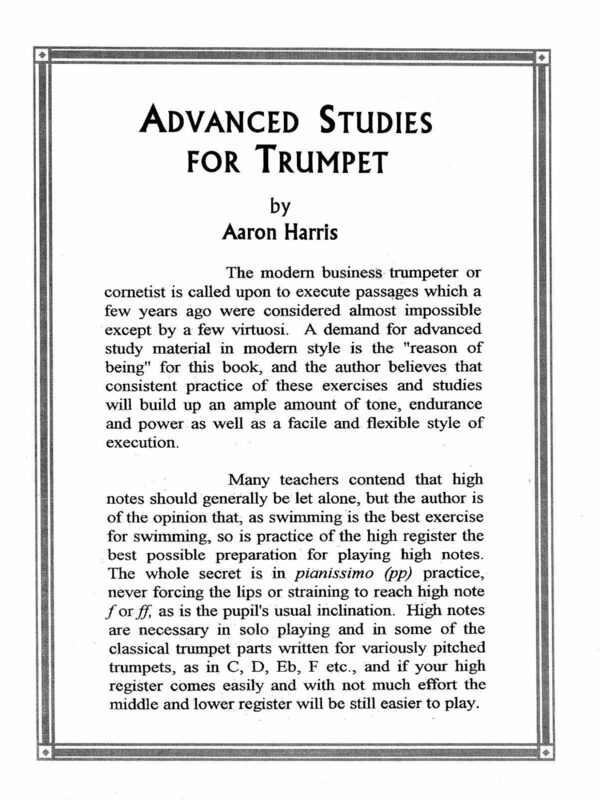 The modern business trumpeter or cornetist is called upon to execute passages which a few years ago were considered almost impossible except by a few virtuosi. 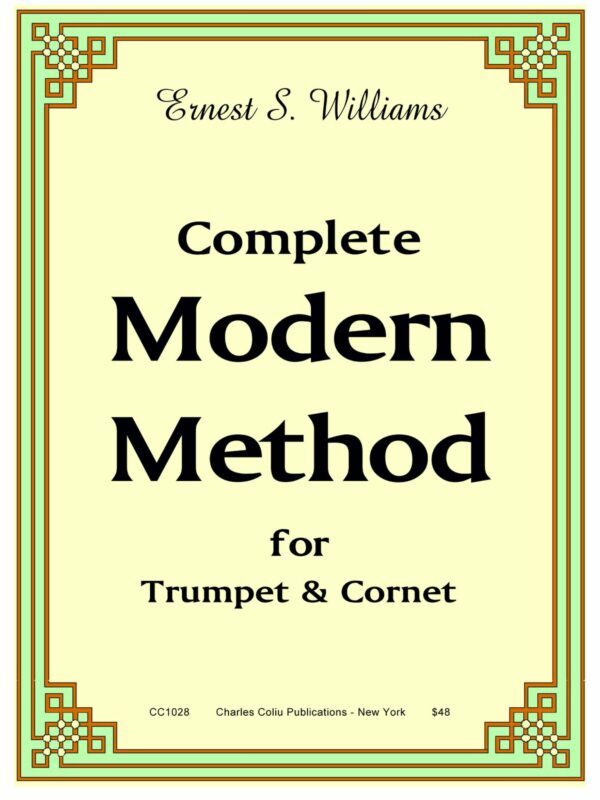 A demand for advanced study material in modem style is the “reason of being” for this book, and the author believes that consistent practice of these exercises and studies will build up an ample amount of tone, endurance and power. 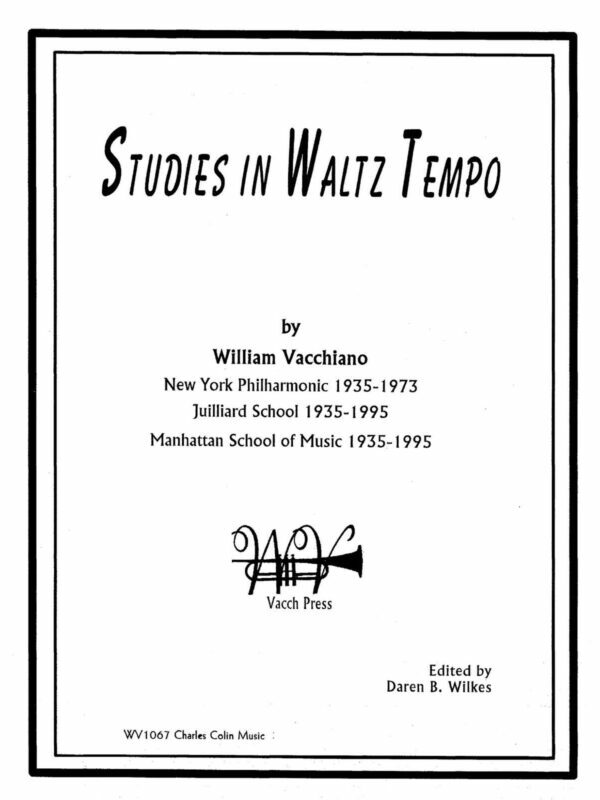 as well as a facile and flexible style of execution. 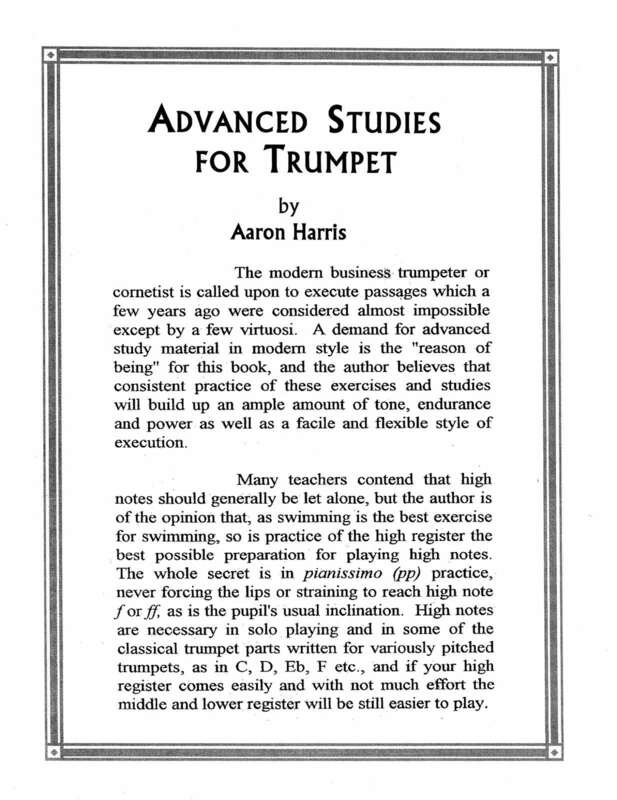 Many teachers contend that high notes should generally be let alone, but the author is of the opinion that – as swimming is the best exercise for swimming – so is practice of the high register the best possible preparation for playing high notes. 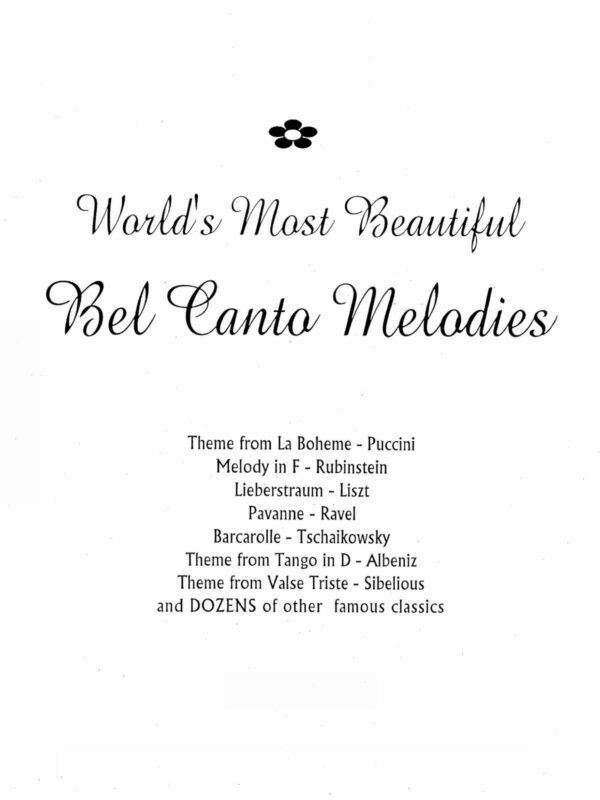 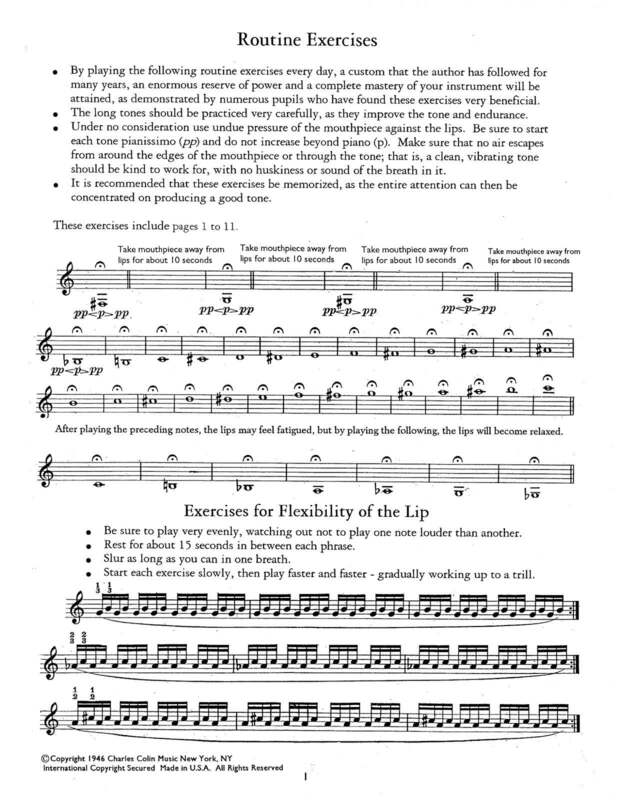 The whole secret is in pianissimo (pp) practice, never forcing the lips or straining to reach high note for ff, as is the pupil’s usual inclination. 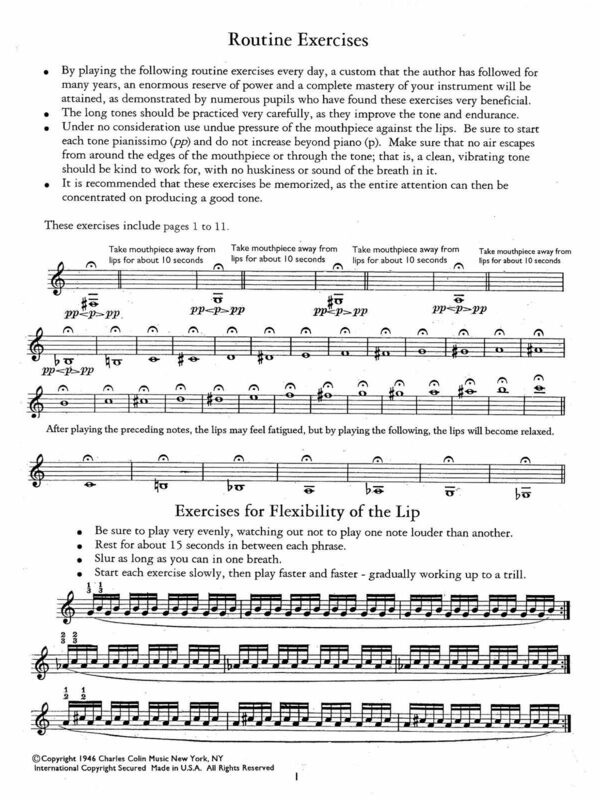 High notes are necessary in solo playing and in some of the classical trumpet parts written for variously pitched trumpets, as in C, D, Eb, F etc., and if your high register comes easily and with not much effort the middle and lower register will be still easier to play. 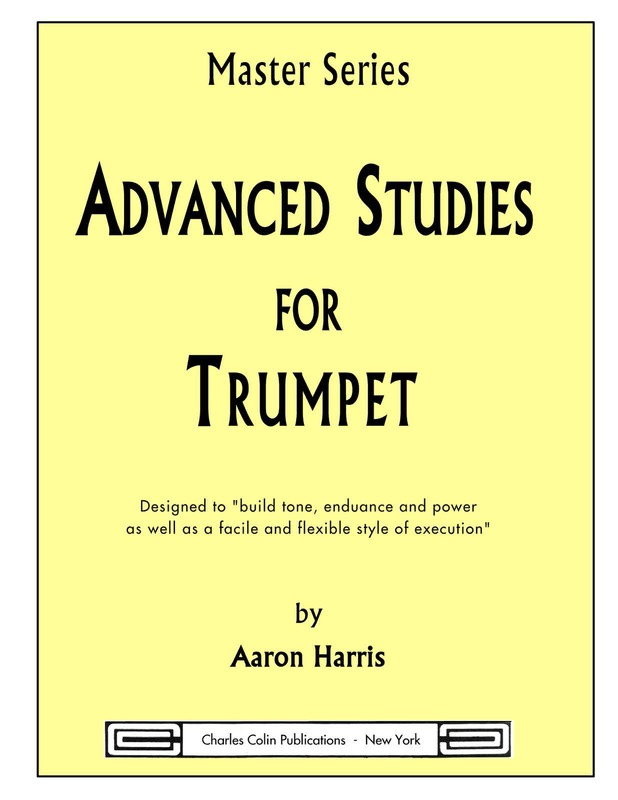 Advanced Studies, revised and enlarged edition, by Aaron Harris and Dr. Charles Colin. 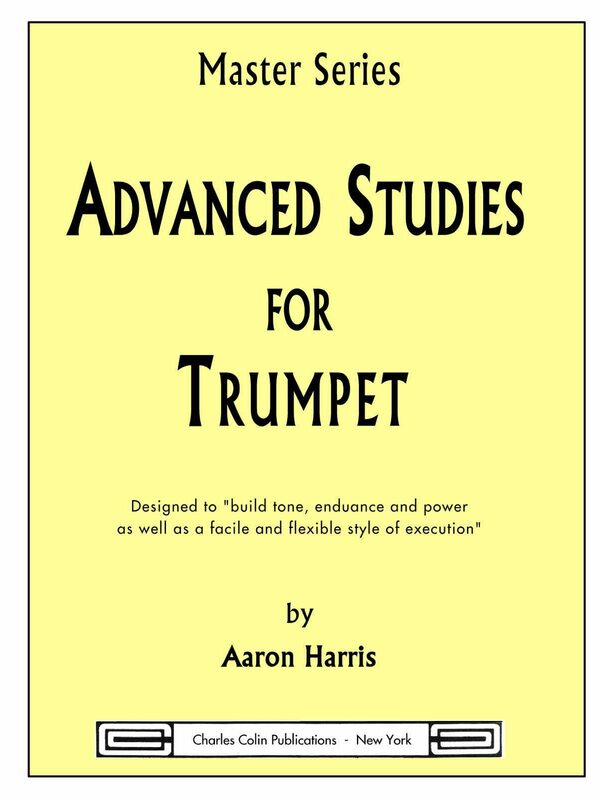 One of the 20th Century’s most admired brass players and teachers, Aaron Harris has produced 150 pages of difficult, challenging studies for the advanced player. 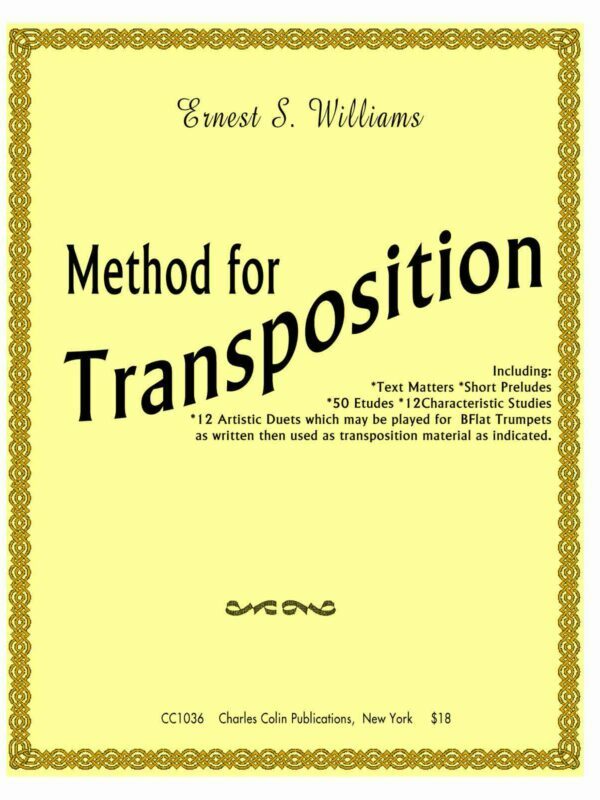 These studies develop technique, range, flexibility, endurance, complete mastery of all scales, chords, key signatures and thorough command of the variety of articulation available on the trumpet.